It will be music to the ears of anyone who's been plagued by vandalism and anti-social behaviour - a blast of Mozart or Vivaldi. It seems the classics can speak volumes when it comes to changing the mood music. The experience of standing at a bus stop or railway station and feeling intimidated, perhaps by a group of teenagers hanging around, is not uncommon. Dealing with it has led to a variety of expensive attempted solutions, including the installation of CCTV. But the idea of using piped classical music, for some years spoken of as a joke, is gradually being adopted as a widespread and low-cost solution. For the cost of some speakers, and the necessary licence to play piped music, problem areas can apparently be painlessly resolved. Even the Co-op is giving it a go, outside some of its shops. Tyne and Wear Metro was one of the first to recognise the pacifying force of the great composers when, inspired by the success of schemes operating in Canada, it began playing classical music at some outlying stations. Spokesman Tom Yeoman says: "We had problems with youths hanging around, not getting up to criminal activities, but involved in low level anti-social behaviour, like swearing, smoking at stations and harassing passengers. "Even if they didn't have a violent agenda, they looked like they might have." Passengers complained and the company felt compelled to respond. They introduced classical music at Tynemouth, Whitley Bay and Cullercoats stations. "It has completely eliminated the problem," says Mr Yeoman. "The young people seem to loathe it. 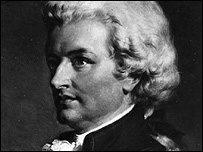 It's pretty uncool to be seen hanging around somewhere when Mozart is playing." It's a win-win situation. Troublemakers have been driven out, but the music continues by popular demand because passengers say it helps pass the time while they are waiting for their train. London Underground has flirted with the idea, and for the past 12 months, has been running a pilot project at Elm Park station on the District Line in East London with some success. Glasgow Caledonian University psychologist Dr Raymond MacDonald says: "People will often use music as a badge of identification. It is important to their sense of self. "So if they're faced with some music they don't like they will have a strong aversive response to it and remove themselves from that situation." The magic of Mozart has changed the atmosphere at a bus station in Beverley in East Yorkshire. Residents near the Sow Hill bus station had complained of youths playing loud music, shouting abuse and urinating near their front doors. Last summer, East Riding of Yorkshire Council installed a public-address system with covert, vandal-proof speakers in the bus station and along the road and started piping out music from 1930-2330 each evening. A woman who works locally says: "The music has made a huge difference. "A lot of children used to hang around the bus station at lunchtime and after school and they have been banished. "I used to feel intimidated by them when I was walking home from work, but now you don't see them standing around any more." At about the same time, the Co-op piloted a scheme targeting a handful of its stores where young people used to gather and cause a nuisance. Co-operative Group general manager of central services Julia Rogers says: "In many communities a local convenience store like the Co-op is the only place open in the evening, so young people often gather outside. "It can be intimidating for shoppers and for our staff, who often face verbal abuse." 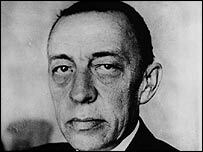 The shops, in Worcester, Bristol and north Wales have loudspeakers fitted outside the premises and staff fire off a round of Rachmaninov or Rimsky-Korsakov, which rapidly appears to have the desired effect. Leicester University psychologist Adrian North, who researches links between music and behaviour, says classical music is not going to be a cure for all anti-social behaviour. "I'd be pretty surprised if it's a panacea. You're just moving the problem elsewhere," he asserts. And although the impact of music played to disperse people has not yet been studied closely, he says, his research does seem to indicate that a degree of familiarity with music affects how comfortable people feel. An experiment undertaken among students at his university, in which "student-friendly" music appeared to attract people and unfamiliar music deter them, could back up the argument. The way music can act in identifying a group would also have the same effect, he says. After all, "Closet chamber music" fans who happen to be troublemakers may not want to admit their secret preferences to their friends. On the one hand, I'm in favour of anything that can be done to reduce anti-social behaviour. On the other, speaking as a classical musician, I am rather saddened to see some of humanity's greatest artistic achievements being demoted to the rank of piped "yob repellant". Couldn't they use something else equally "uncool" as well? Like skiffle, or Welsh folk music? So where are these troublesome youths hanging around now? Instead of chasing them off to somewhere else with classical music why doesn't the local authorities build a recreation centre or something like that for them? Kids need somehwere to go outside of their home where they can congregate together and have fun, thats what being a kid is, adults are always expecting them to deny that and behave like they're 30. Get real. I was staying at a hotel in Victoria, British Columbia a couple of years ago when I noticed loud classical music playing outside my room. My inquiries at the front desk revealed that the music discouraged drug dealers and other disruptive types that congregated near a pub behind the hotel. It seemed to work - I encountered no problems during my stay. I am concerned that yet again groups of young people have been branded and treated as a 'problem'. Surely it is the responsibility of the council, to provide a more satisfactory venue for them to hang out, and this way make a positive change rather than moving the situation from place to place by banishing them from one place at a time? The discovery is commendable. I only hope that these kids never see the film Clockwork Orange; that might actually create in their minds a connection between classical music and anti-social behaviour, and thus would have the opposite effect entirely. Harrowing thought. I experienced this in Melbourne for the first time. Apparently the station had previously been plagued by youths who persistently vandalled and graffitied the area. There was no damage apparent after the music was played 24/7. I'm all for figthing anti-social behaviour, but maybe some of the young people standing at the bus stop are waiting for buses? Just because there are a few young people together doesn't mean they are a gang or are going to rob the first little old lady to pass. I'm sure if young people had a better option, they wouldn't be stading at stations or local shops - maybe we ought to be looking to provide them with something more stimulating to do? My Mother and I went to our local Co-op the other week, and thought the loud music we could hear must be blaring out of someones car speakers. Looking around for the car full of 'yobs' magine our surprise to find it was being piped out by the entrance. It was great to be able to walk into the shop without having to dodge the usual gang of kids who hang around. If it means the problem is shifted elsewhere, then other places should play that music as well. Eventually they might get the message - or even stay in at night and annoy their parents instead! I am a teenager, and all these who say "give them something to do" are making excuses. The other people my age who hang around the streets don't want anything to do. Whether they intend to do anything illegal or not, they appear threatening to others. It is not the council's job to entertain them. At worst they could stay at home and watch TV, just like they do when they should be at school. To all the people who say that young people need somewhere to 'hang out' - yes, they do, but you know as well as I do that a bunch of 16-year old kids hanging about 'with nothing better to do' is more than likely to result in criminal damage or intimidation. Anyway, why aren't these kids at home doing their homework? Or (God forbid) reading a book? Or spending time with their parents or siblings? I'm sure that when I was 16 I didn't have the need to 'hang out' away from home every night of the week. And that was only four years ago. My father had the same idea when 'undesirables' used to come into his pub. He would blast some Irish diddly-aye music a tad too loudly much to their annoyance and they would eventually drink up and leave. Worked every time!